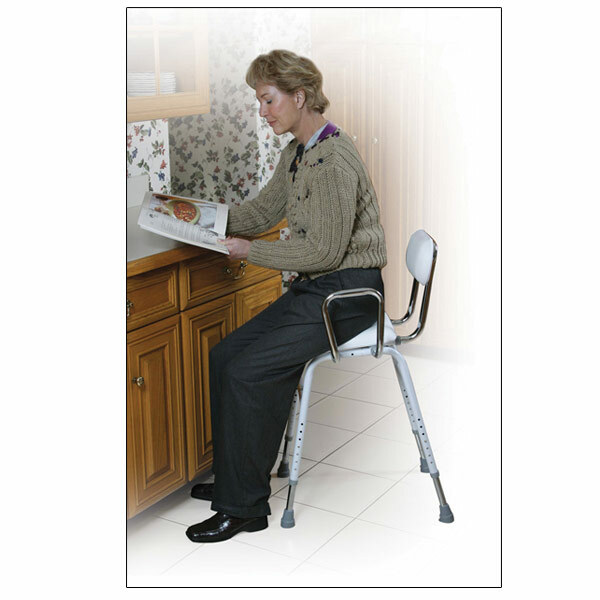 Get extra support Kitchen stool features a padded seat and back for added comfort. 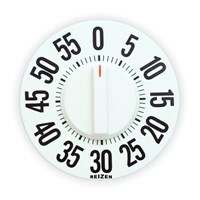 Manufactured with chrome-plated steel for an attractive, durable finish. Comes with removable arm supports for added safety and comfort. Easily assembled. White color. 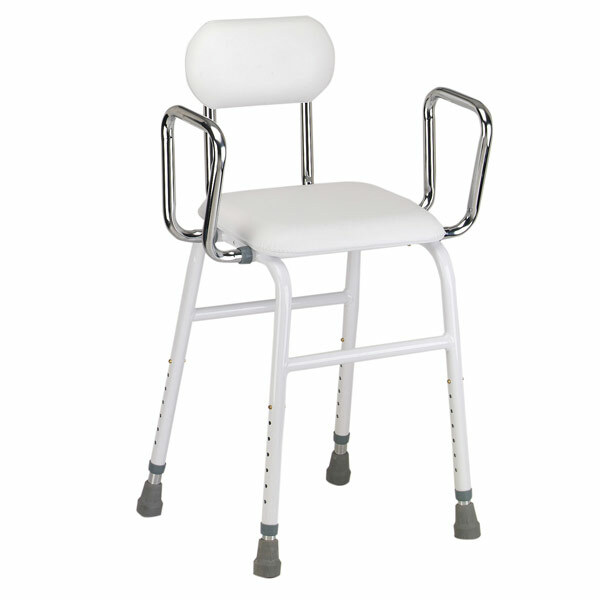 Adjustable height (27 to 21) to accommodate almost any size person. Limited lifetime warranty.